There are too many fingers in the pie and open questions for the scandal to die down any time soon. For one, what happened to the body of the dead journalist? The Saudis now report that it was handed to an unnamed “local collaborator.” This mysterious person either got away, was smuggled out of Turkey by Saudi agents or is no longer alive. This may explain the sweep Turkish police have been conducting in the woods near the consulate and other parts of Istanbul. Abductions and assassinations by clandestine agencies of traitors, enemies, double agents or regime opponents are not uncommon in the shady underworld of many nations. But even when they are botched and lead to unplanned deaths of the objects or even their assailants, such cases are rarely admitted by officialdom or reach the public domain. Yet the Khashoggi case hit world headlines, fed day after day by vividly morbid details, from the moment he failed to come out of the Saudi consulate in Istanbul on Oct. 2, because three parties had an immediate interest in fanning the flames of outrage. The crown prince’s rivals at home, who saw their chance to topple him. 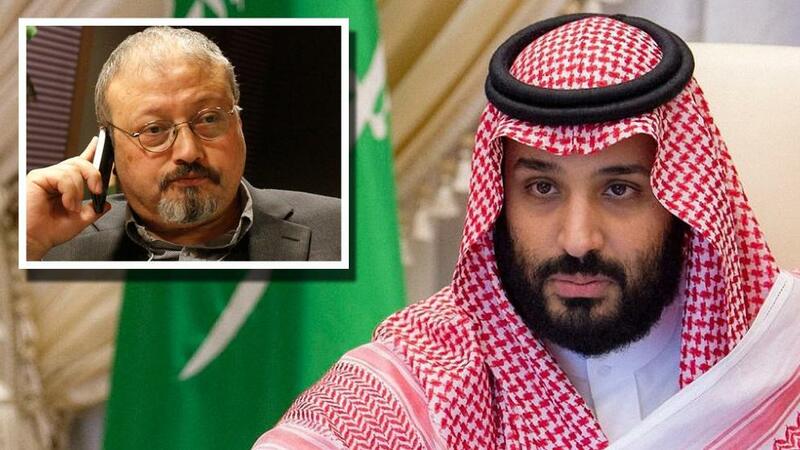 The official announcement on Saturday will not end the infighting in Riyadh, but rather intensify the struggle waged against him for some months by high-ranking princes, army commanders, intelligence agents and rich Saudis. Turkish President Tayyip Erdogan seized the affair with both hands as a vehicle for climbing up to the top of the international and Muslim power ladder in the guise of a seeker after justice and truth. Donald Trump’s political foes at home, who saw an opening for getting at him through the friendship between his son-in-law Jared Kushner and the Saudi crown prince. In this respect, the president’s decision to send Secretary of State Mike Pompeo to Riyadh and Ankara to get to the bottom of the affair and take the heat off the White House did more harm than good. Trump would have been better served by standing aloof from the scandal. Now he hopes to get rid of the hot potato by his decision to work with Congress on Washington’s response to the embarrassing Saudi crisis. This entry was posted in Axis Powers, Donald Trump, Government Corruption, Middle East, Politics, Saudi Arabia, Turkey, USA and tagged Ahmed al-Asiri, Ankara, Crown Prince, Donald Trump, government corruption, Istanbul, Jamal Khashoggi, Jared Kushner, Middle East, Mike Pompeo, politics, Recep Tayyip Erdogan, Riyadh, Saud Al-Qahtani, Saudi admission of Khashoggi death leaves turmoil in Riyadh fallout on Saudi-US relations, saudi arabia, Turkey, United States, Washington, White House. Bookmark the permalink.